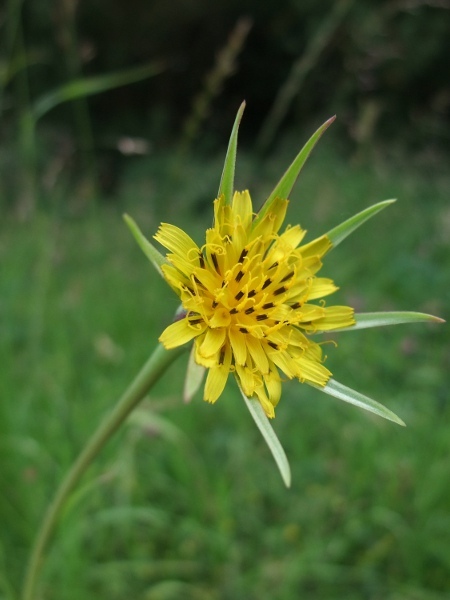 The leaves of Tragopogon pratensis are untoothed and unlobed, tapering from a stem-clasping base. 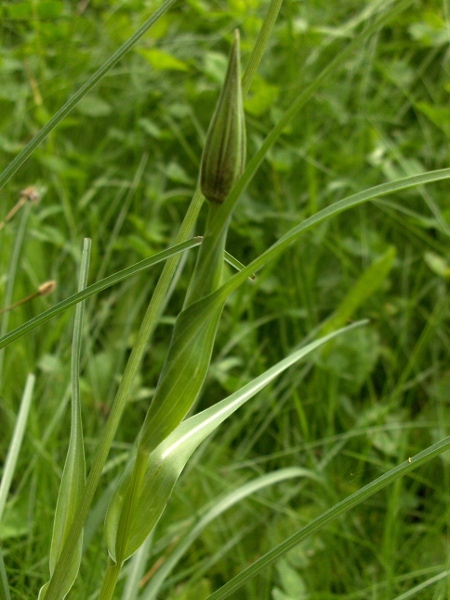 The inflorescences of Tragopogon pratensis only open for a single morning. 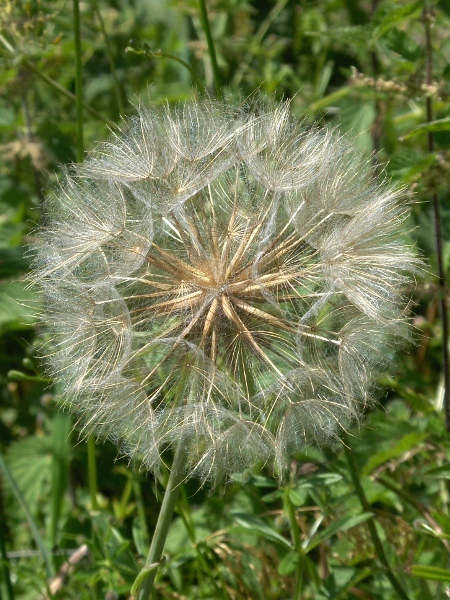 The seeds of Tragopogon pratensis are large and have a feathery pappus.